Aunt Flo got you down? The Crimson Tide wearing you out? Well, the good news is that you no longer have to make that awful run to the drug store for tampons and pads, and better yet, you don’t need to make your boyfriend do it, either. 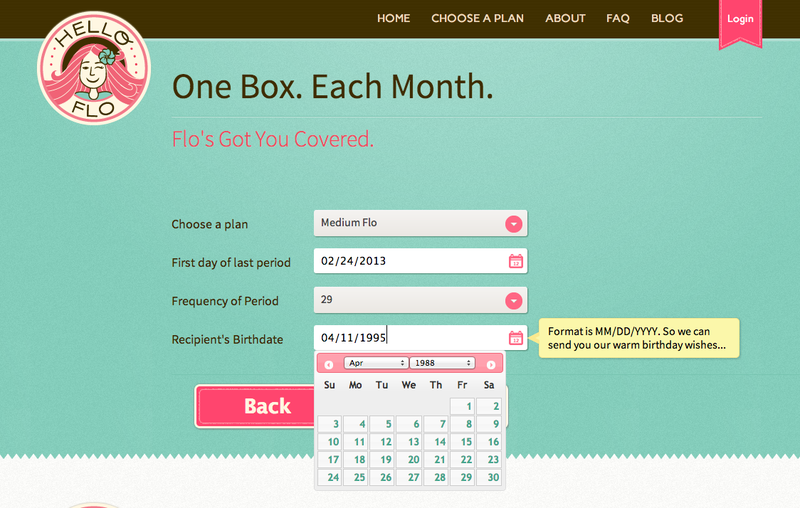 A new service called HelloFlo has just launched, which offers a subscription service for feminine hygiene products. To be clear, HelloFlo isn’t the first company to take advantage of the subscription model, and it isn’t even the first to offer subscription-based tampons. Le Parcel launched around Christmas last year to offer a similar product, and Juniper does the same thing, plus teas, chocolates and other goodies. There is virtually no difference between HelloFlo and Le Parcel, except the brands they’ve partnered with. There are other services that do a similar thing and even offer candies or flowers. But that doesn’t mean there isn’t room for everyone. Truth is, it can’t hurt to have some solid competition in a sector that’s so terribly broken, and worth so much. Speaking from a woman’s perspective, I can honestly say that the only thing worse than buying tampons is actually having your period. Unfortunately, those two things often come hand-in-hand, usually with some sort of awkward walk, a leak, and an overwhelming sense of embarrassment. She’s preaching to the choir, of course. Even if, like myself, you were raised to put a nice big dot (or period, hehe) on your calendar as a reminder, there’s no woman on earth who has never been surprised by a visit from Aunt Flo. But Bloom’s gripes extend beyond that. 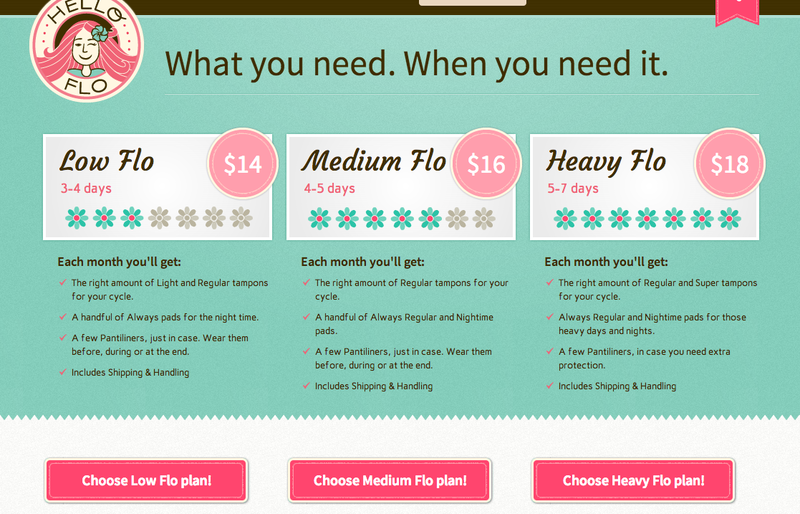 HelloFlo sends you a combination of pads and tampons that fit your period, based on low, medium or heavy flow. It also solves the problem of remembering your period by doing it for you, as HelloFlo’s packages are delivered based on the time you say you have your period. HelloFlo is starting out by offering the basics, Always and Tampax Pearl products, on a monthly basis. But Bloom believes there’s a lot of opportunity to be found within the relationship she’s creating between brand and customer. This certainly isn’t the last you’ll hear about subscription menstrual products, but we’re glad to see HelloFlo join ranks and offer more competition. After all, competition fosters innovation.